From flu treatment, pain management – to help with coughing, testing, allergies or even getting your medical marijuana card; we handle everything from vaccinations and regular checkups, to ER visits and minor injuries… we’ve got you covered. MyDoc Urgent Care is your one-stop shop for all things medical. Located conveniently in Forest Hills. Searching for “urgent care near me” or a “clinic near me”? We cover Rego Park, Elmhurst, Briarwood, Jamaica, Kew Gardens and other surrounding neighborhoods. Great service and standard of care. Very neat and clean. Staff is very polite and professional from front desk to medical assistants to physicians, overall a great atmosphere inside out. Late hours until 9PM. Open on weekends. Physician himself monitors the patient flow, wait times and makes sure that the facility is operating very smoothly. He actually understand the patient's time importance as well so will try to accommodate you very conveniently. Would recommend it to everyone, all ages, genders, and ethnicities. You will all feel very comfortable. Doctor, Nurses and MyDoc Queens are true life savers! I woke up with a bad case of pink eye and didn't have much time to go to the doctors this morning. I made an appointment online. The doctor was very friendly and helpful. The appointment took less than 10 minutes. This service completely revolutionized fast health care service. I can't believe I didn't hear about this sooner! Thank you for making it hassle free to get health care. Staff was very friendly, no wait time. Got my allergy test done, staff very efficient. I would come again to this facility. Open on weekends and late hours for those who get off work late. Great place, clean and convenient. A key, Salib added, is keeping patients happy, providing them with a better option. 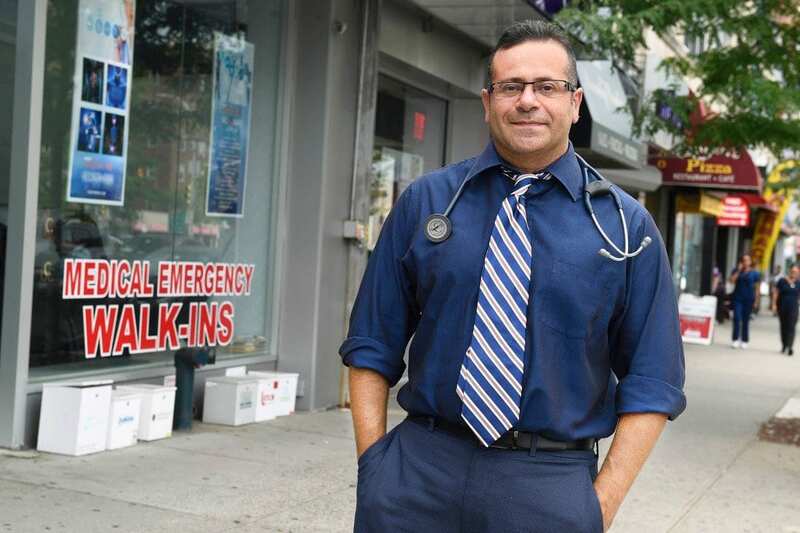 “There are a lot of patients who don’t want to go to an emergency room,” Salib said. Others, he adds, can’t get quick doctor appointments. Just about everybody at one point or another will experience abdominal pain. While cold symptoms can make you feel bad for a few days, flu symptoms can make you feel quite ill for a few days to weeks. A heart attack occurs when the blood flow to a part of the heart is blocked by a blood clot. We know nothing is more important than your child and when your child is in our care nothing is more important to us. Inflammation of the airways causes them to narrow and secrete thick mucus, or phlegm.